Are Adult Diapers With Tabs the Right Choice? The Urology Care Foundation estimates that 33 million Americans live with stress urinary incontinence, a condition where weak pelvic muscles allow urine to escape, especially when sneezing, coughing or laughing. Millions of other people live with overactive bladders and overflow incontinence, a condition that causes small amounts of urine to dribble out of a full bladder. Adult diapers offer a simple solution for people living with incontinence. Even if you experience urinary incontinence infrequently, wearing adult briefs can give you the peace of mind needed to live confidently. Adult diapers with tabs, which some brands call fitted briefs, have tabs that hold the diapers in place. When you want to take the adult diaper off, you don't have to slide it down your legs. Instead, you detach the tabs so you can pull the briefs forward or backward. Like other adult diapers, diapers with tabs have carefully placed pads built into the bottom of the diaper that absorbs and pulls away liquid from the skin. Who Should Use Adult Diapers With Tabs? Adult diapers with tabs can work well for anyone with incontinence. People with mobility issues, however, usually benefit the most from choosing this type of adult diaper. If you lose your balance when you try to stand on one foot, for instance, you should consider using adult diapers with tabs. If you rely on a caregiver, you should also consider wearing tab-style adult diapers. 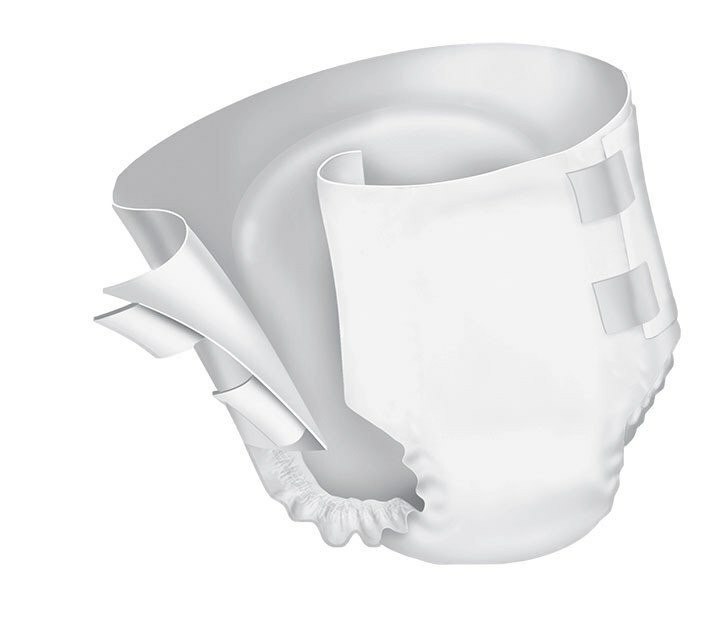 Your caregiver will find it much easier to replace used adult briefs when they have tabs. Without the tabs, your caregiver has to slide the garment all the way down your legs. What Type of Tab-Style Diaper Will Work Best for You? Care.Club offers free 1-2 day shipping when you place orders worth more than $59.